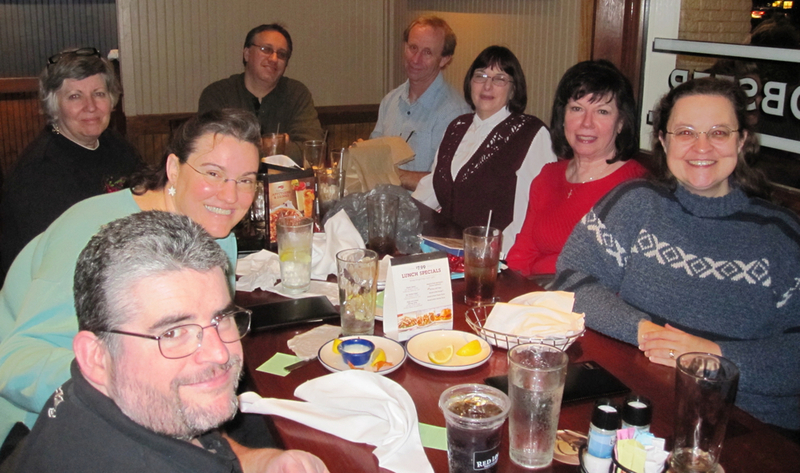 At our 2013 Christmas party, we had a great time at the Red Lobster Waterford Lakes. Clockwise from lower left: Joe Gallagher, Jenni Gallagher, Nancy Schalm, Will Ramirez, Marc Lamb, Fay Lamb, Brenda Barnett, and Kristen Stieffel. We hope to see you at January’s half-day meeting, where we’ll get you prepped for the Florida Christian Writers Conference. ← Prompt Response Contest 2014: Enter Now!